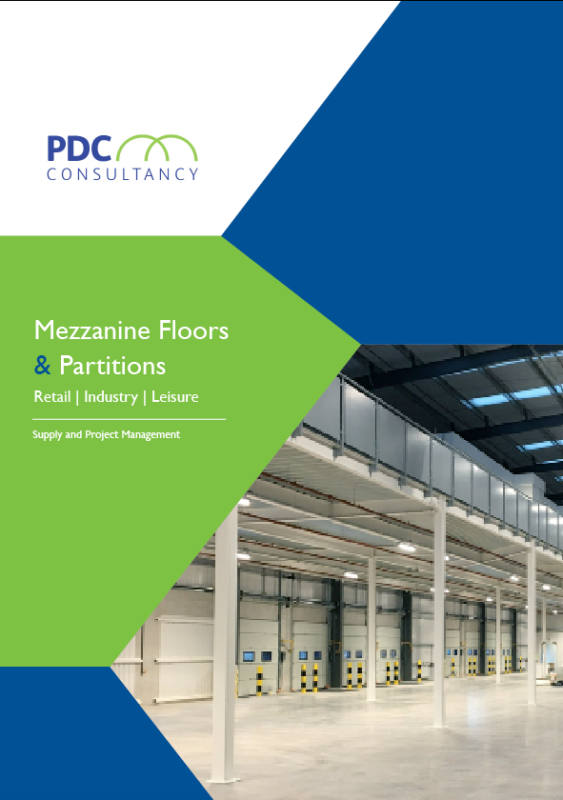 When you’re looking for extra space in your business without wanting the hassle of having to move your entire company then researching “mezzanine floor” can definitely present you an alternative solution that could save you both time and money. If a building has a very high ceiling, a mezzanine floor is usually a free-standing semi-permanent structure, which can be installed between two permanent, already existing stories. Most mezzanine floors can be dismantled and rebuilt elsewhere in the building if needed, giving a flexible area that can make the most of the space you have. A mezzanine floor generally doesn’t reach all the way across the full width of the building, and will be open to the original floor beneath it. Sometimes building control requirements can dictate the size of your mezzanine but PDC will advise you on regulations for full guidance. For most mezzanines, you aren’t likely to need planning permission, but it’s a good idea to check this too, again we are able to advise. Mezzanine floors are always designed and tailored to fit the space available and the needs of the client, so you’ll find they come in every shape and size to fit what you need. 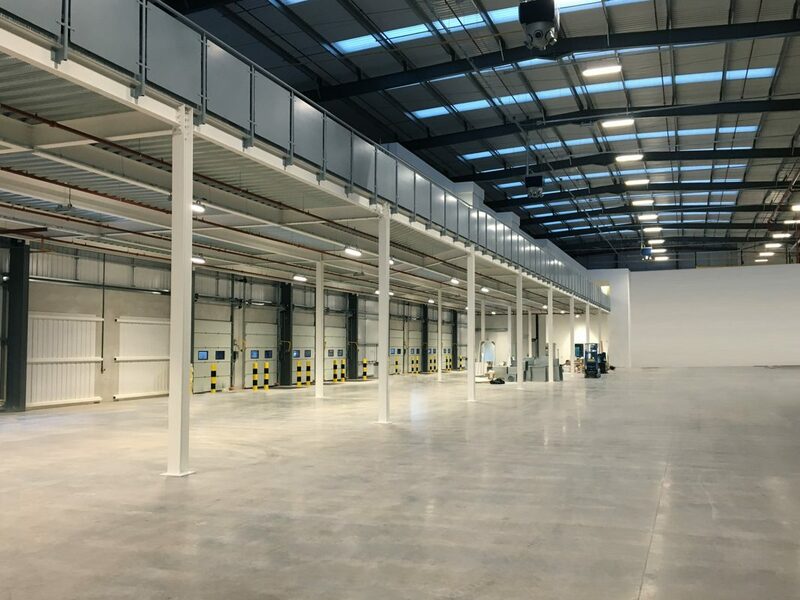 Each floor is also available in a variety of materials and finishes, from a basic and highly functional structure for a warehouse to a beautifully finished, customer facing new floor space for a retail outlet. Why fit a mezzanine floor? • Compared to moving to a new building or building an extension onto your existing HQ, fitting a mezzanine floor is quicker, more cost-effective and a lot less fuss. • A new mezzanine can be fitted with minimum disruption to the day to day running of your business. 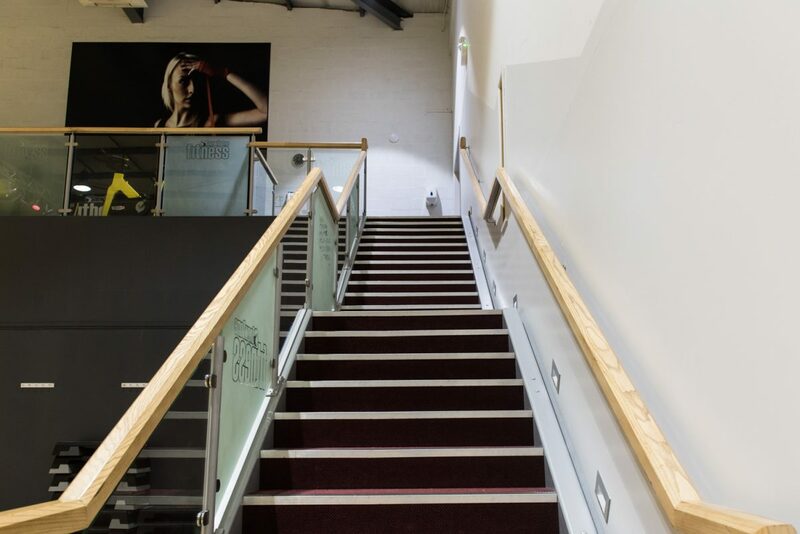 • Mezzanine floors are bespoke, so if you have the budget, you can have exactly what you want, including shelving, pallet gates, built in offices, and even powder coated staircases and railings in colours to match your branding. • It doesn’t matter what you need the extra space for. A mezzanine floor can be built to take everything from storage of light items right up to bulky, heavy machinery. • Mezzanines are flexible. If you start off with the mezzanine on the south facing wall and then decide your business would run smoother on the opposite side of the room, chances are you can do that. • Having a well-ordered store room with everything in its place even at peak times can increase efficiency, save money, and an added mezzanine can give you the space to do that. • If you’re in retail, you only have a certain amount of space to lay out your goods in an appealing and eye-catching way, but the addition of an elegant mezzanine can double what you can offer, create a space for more stock storage, or add a whole new department. • If you don’t have enough office space to add all those new staff needed for your expanding business, the addition of a mezzanine floor with new offices can give you the space you need, or create beautiful meeting rooms to impress potential new clients. Mezzanines are usually made from aluminium and steel, the use for the new flooring and the weight it will need to take will dictate the material specifications used. A new floor will be made up of columns, purlins, beams and decking and other accessories may be added, such as hand rails and pallet gates depending on what is needed. Once you decide to have a mezzanine floor fitted, we will design your new floor taking into account the use, weight, how to make the best use of the space you have, and obviously, your preferences for the look of the new addition. Site surveys will be done and your design will be finalised, and then the installation team will be booked. Stuck for space or need to implement a new system but don’t have the room to set it up? Give PDC Consultancy’s professional and knowledgeable sales team a call on 08455 201024. This entry was posted in Mezzaines. Bookmark the permalink.